Discussion in 'Education news' started by Shedman, Jan 9, 2019. Not quite Ed Tech but the school I attended had a class set of these. We had 3 lesson session on these and then they were put away, never to be seen again. I remember our first television experience at primary school. The school had just bought one of those huge televisions on stands that were made just for schools. It stood about six foot high and the doors of the cabinet folded out to produce a shade against the light. We were all brought down to the Hall and were sat on the floor whilst several of the teachers (and the Head) milled about the set trying to get it to work. There was much shuffling about with the aerial (it was an old 405 set) and other manipulations. In the end it was a bust and we were sent back to class. I never watched television in school again. We had these at my primary school! We had no idea how to use them to do calculations but they were great fun to play with. Log books. Do they still exist in maths? At least guillotines would cut a class set. One of the "new" paper trimmers we have has a limit of how many sheets it can cut at a time... six! Six sheets of paper at a time is its maximum. Not sheets of metal, paper... normal, 80gsm paper. You can't even get it to cut more by using a little more force; it just bends or tears the paper instead. It ain't paper trimmers per se that are the problem it is your one..... But a dent one. 90% of staplers are not fit for purpose either. I must confess that some infantile children, no names no pack drill, used to draw rude things on the OHP that had a roll of transparency and then roll it back out of site to be revealed later. As I said infantile but with imagination very funny. Photograph them! Save them for our museum! Ooh! Have another one! Roller maps of the world! Wow we loved them., big ink pads and rollers...we used to over ink them and roller Europe and The America’s down each other’s legs in the summer...we would leave the lesson looking like tattooing casualties...happy days. ridleyrumpus, blazer and agathamorse like this. Log tables - All done on calculators now. You could buy 4 figure or 6 figure log tables. Mrsmumbles and agathamorse like this. It is still possible to buy them e.g. on Amazon. I don't think they would have any practical use, unless you wanted to show the kids of today what we had to do. Wooden rulers! And those brilliant slide top wooden pencil boxes! Loved mine. Bring em back! hammie, Norsemaid and agathamorse like this. You can certainly still buy wooden rulers. Maybe with all the bad publicity about plastic they'll make a comeback. Or wood-looking ones made from recycled plastic. A lot of pencils are made this way. This thread is like the anti-me. After a decade in teaching, I moved to the Digital Services arena. The core mantra I work by now is "Start with user needs" ie: what are people doing that is difficult and could be made easier? The very antithesis to the "Ooh, shiny, lets have that and figure out what to do with it later" view that dogged my teaching career. Teachers: "What can it do?" IT: "What do you want to do with it?" Teachers: "Don't know, what can it do?" Perfect ingredients for a workshop with someone who could bridge the 2 worlds. But that didn't happen. Then SLT said we should have a load of ipads. Me: "What do you want them to do on the ipads?". SLT: "Er, stuff". So, we were left with the chance to add another 20 hours a week in resource redesign, or simply get the students to google stuff every once in a while. The problem with OHPs was when the bulb went... you went to get the spare, stored inside the machine, only to find that it wasn’t there. Another problem with OHPs was that even the same models could have different bulbs fitted to them, either when they made, or someone had bodged the fitting to take a different bulb. I remember the ink rollers that the geography department used, which had maps on them. he teacher wold go around the class with the roller and a large ink pad, putting a map of somewhere into the students' books. @Mrsmumbles: I remember the crash of a dropped slide carousel and the clacking of slides falling out, accompanied by cries of despair, or tirades of profanity, depending on the teacher or technician involved. @Shedman: Before the cassette video players, there were the Sony, reel-to-reel machines, which showed grainy, black-and-white images. We were shown how to use them on the AVA course at TTC but I do not remember seeing one in use in a school. The reels of tape were rather heavy and bulky and, i think only lasted twenty or thirty minutes. 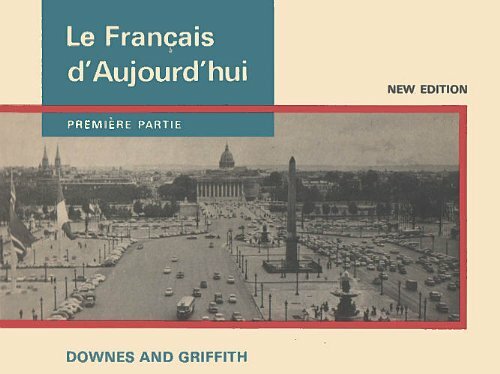 What about the AV language courses, like 'Le français aujourd’hui', which had a text book, a reel-to reel tape recorder, and a film strip projector and screen. agathamorse, bertiehamster and Shedman like this. Who remembers the Gestetner machines? These used stencils you typed out with a backing sheet on the typewriter roller, and used black, oily ink that came in big toothpaste tubes. No matter how careful you were, you always seemed to end up with spots of this awful ink on your clothing, which no amount of washing or dry-cleaning would get out. Even scrubbing your hands raspberry-red, the stains would take days to wear off. Banda machines were better, as you could partially anaesthetise yourself with he solvent fumes as you ran them off. agathamorse and Shedman like this. I took one home when they scrapped it, together with stacks of stencils. Very useful as a young scout leader with a mum who was a typist and chairman of the group, always happy to type up letters for me. agathamorse, blazer and Shedman like this. regarding buying ipads. How many schools have bought class sets of tech and then found they are pretty useless. Most Maths departments have a box of unused graphical calculators, not much use unless you had a technician to maintain them and a huge budget to change the batteries when they were left on. About 10 years ago or perhaps longer, data logging was the big thing in science so the science department had a class set pf laptops bought for them so they could do all this fancy logging like pH, temperature, respiration and so on. Needless to say, they were used about once and after the staff had run around like headless chickens getting the laptops set up and stopping the kids from messing around in the BIOS and the like. In the end it was decided that instead of the students using the computers it would be better if the teacher just demonstrated the experiments and the students wrote down the results and took it from there. In DT we were desperate to get access to computers to help with designing and so on but did we get a look in? No chance!